We were really lucky to have the Water Explorers visit our school this week to explore the Challenge Aqua Adverts. We found it a little tricky to understand 'secret' water so this session really helped us to appreciate the amount of water it takes to make some of our everyday items, like the tshirt we wear to school everyday. 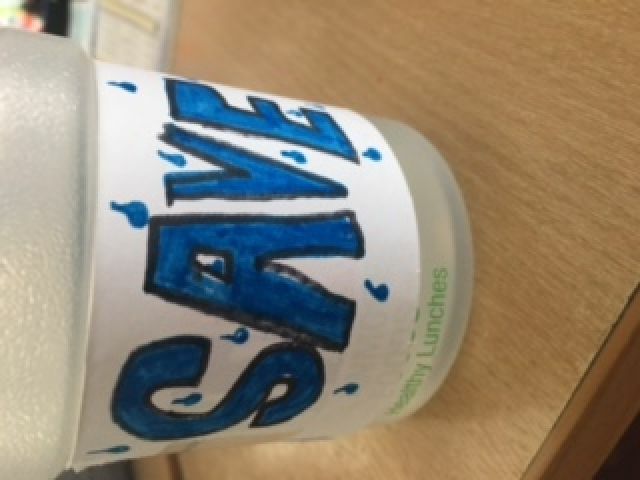 As part of this challenge, each group created a different advert/way of sharing our message with more people about saving water. One group created a rap and another group created water labels for our water bottles (picture attached). We hope to extend some of the ideas from this session to inform more people!